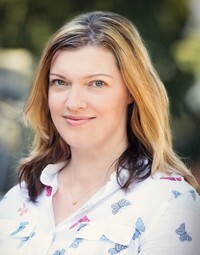 Jennifer Honeybourn works in corporate communications in Vancouver, British Columbia. She's a fan of British accents, Broadway musicals, and epic, happily-ever-after love stories. If she could have dinner with anyone, dead or alive, she'd have high tea with Walt Disney, JK Rowling, and her nana. She lives with her husband, daughter and cat in a house filled with books. WESLEY JAMES RUINED MY LIFE is her first novel. To ask Jennifer Honeybourn questions, please sign up. We’d love your help. Let us know what’s wrong with this preview of There's Someone Inside Your House by Stephanie Perkins. We’d love your help. Let us know what’s wrong with this preview of Turtles All the Way Down by John Green. We’d love your help. Let us know what’s wrong with this preview of Starry Eyes by Jenn Bennett. We’d love your help. Let us know what’s wrong with this preview of Save the Date by Morgan Matson. We’d love your help. Let us know what’s wrong with this preview of The Gatekeepers by Jen Lancaster. We’d love your help. Let us know what’s wrong with this preview of Walk the Edge by Katie McGarry. We’d love your help. Let us know what’s wrong with this preview of Break My Heart 1,000 Times by Daniel Waters. We’d love your help. Let us know what’s wrong with this preview of The Cavendish Home for Boys and Girls by Claire Legrand.